The only tool that analyzes your project's schedule - Quick & without effort! Have a full analysis report of your schedule in minutes. Now you can focus on what matters the most to your company! Possible failures and malfunctions, issues which demand your attention, opportunities to improve the schedule & shorten the project's length. The HCP method identifies the project’s Hidden Critical Paths which help you predict any problems before they can occur. We're happy to help with any question, request or counsel. We at HCP have been providing project management and consulting services to clients since 2002, and specialize in writing, monitoring, analyzing and optimizing schedules in complex projects. Each schedule we work on is analyzed with our patented HCP (Hidden Critical Paths) method. HCP has proven itself in more than 200 projects of various types: Infrastructure, construction, and defense. The construction of Allegro Microsystems' semiconductors factory in Massachusetts, USA. The HCP Analysis assisted in bringing the project's completion date ahead by three weeks and a with a budget saving of $700,000. The project was chosen as an outstanding project in the field of infrastructure by "The Israeli Association of Construction & Infrastructure Engineers" and as "Project of the Year" by PMI-Israel in the yearly project management competition. This is a mega project with a total scope of NIS 1.2 billion. With HCP, the project was completed two and a half months in advance, and with budget savings of about 3%. The section connecting the 'Iron interchange with the Ein-Tut interchange on the Cross-Israel Highway (6). The HCP analysis found that the project's schedule could be shortened by eight months. Eventually, the project team carried out the project with great success and completed it 5 months before the contractual deadline. 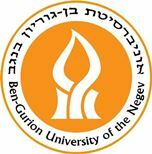 Today, at Ben-Gurion University and its' branches, no planning, construction, renovation or maintenance project, big nor small begins without a schedule. We run every large & complicated schedule through the HCP application and receive within moments an analysis, which shows us the possible malfunctions and our probability of meeting budget & scope. In the past, the HCP application has revealed failures likely to occur during the project and gave us an opportunity to correct them before becoming a stumbling block. This helped resolve conflicts, which arose in the face of unrealistic timetables which were diverted in favor of one side. Eventually, the crisis was resolved peacefully, even before the project began. "As a manager of large and complex projects in the field of construction, I understand the importance of a detailed schedule, which includes all the engineering activities required to monitor and complete the project. Monitoring over the contractor's schedule is carried out on the engineering and technical level in terms of the correctness of the activities, the continuity and the resources included therein. The HCP analysis enables to accurately understand the project's schedule structure, detects faults that can't be found in manual labor and helps orient oneself within a schedule which includes hundreds or thousands of activities. Without a doubt, the HCP analysis is a convenient and fast way to get a reliable schedule to a very high standard which meets the goals of the project." "In my work as a project scheduling consultant and as an expert witness in schedule-related lawsuits, I have found the HCP Method to be a powerful and innovative tool. The method reveals structural problems in the project schedule, problems that were previously difficult if not impossible to find. The method succeeds in analyzing both simple and highly complex schedules. I strongly recommend to anyone working with project schedules to obtain an HCP analysis of every schedule." "We are a global engineering consultancy for the semiconductor industry, and we employed HCP's schedule analysis services during the construction of a 10,000 sq. ft. clean room for a new product line, including the installation and qualification of capital equipment. The HCP analysis exposed important findings which could not have been determined by any other form of analysis. For example, the analysis revealed many critical paths of which we were unaware of, as well as opportunities for bringing forward the end date of the project. We credit HCP's insights for helping us complete the project three weeks ahead of schedule and $700,000 under budget." "Once I realized the benefits that the HCP method provides to my consultants, I decided to implement it as a standard in my firm's work. The immediate goal is to detect difficulties and problems in the schedule quickly, to improve the quality and professional quality of the timetables."